Are you searching for an orthodontic practice in Vero Beach, Florida that can provide you and your family with comprehensive orthodontic care? If so, then look no further! At Orthodontic Specialists of Florida, (conveniently located at 1956 41st Avenue in Vero Beach), Dr. Justin R. Chisari looks forward to helping you obtain a beautiful smile. People who live and work in Vero Beach and the Riomar, South Beach, Seagrove and Atlantics communities trust Orthodontic Specialists of Florida for all their orthodontic needs. The special dental care of orthodontics usually correlates to a beautiful smile. However, orthodontics is ultimately meant to protect the health of your gums and teeth. Crooked and misaligned teeth create areas in which food particles and bacteria hide. When there are gaps or spaces in your teeth, your gums do not have as much protection from plaque and bacteria. Orthodontics also improve your ability to speak clearly and chew food. It can improve oral hygiene, which fights tooth decay. Crooked and misaligned teeth cause difficulty eating or chewing. Getting braces can lead to more self-confidence and a better, long-term smile. Dr. Justin R. Chisari welcomes you and your family to the Vero Beach, Florida office of Orthodontic Specialists of Florida. He graduated from the University of Florida after completing a Doctorate in Medical Dentistry and obtaining a specialty certificate in orthodontics. He grew up in South Florida and enjoys serving the community by offering top orthodontics care for kids, teens and adults. When you visit our orthodontics facility in Vero Beach, Florida, our friendly team of professionals will greet you and do our best to make you and your family feel comfortable. We make every effort to provide a relaxing environment and an all-around pleasurable experience. New patients are always welcome at our office. We also encourage you to call and visit us for a free initial consultation. If your current dentist has suggested orthodontics, you can ask us for a free second opinion before you make a decision. We look forward to building a long-lasting relationship with you and your family as well as providing superior orthodontic care and helping with all of the orthodontic needs of you and your family. 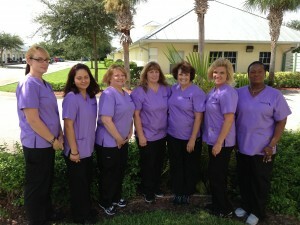 Contact us or visit our office in Vero Beach to meet with our orthodontist today!